William Hill and Edward Evans founded their business in 1830 in Worcester. Subsequently Hill, Evans & Co purchased a six acre site at Lowesmoor in Worcester. At this site they built a factory producing amongst other things some of the finest vinegar in England. 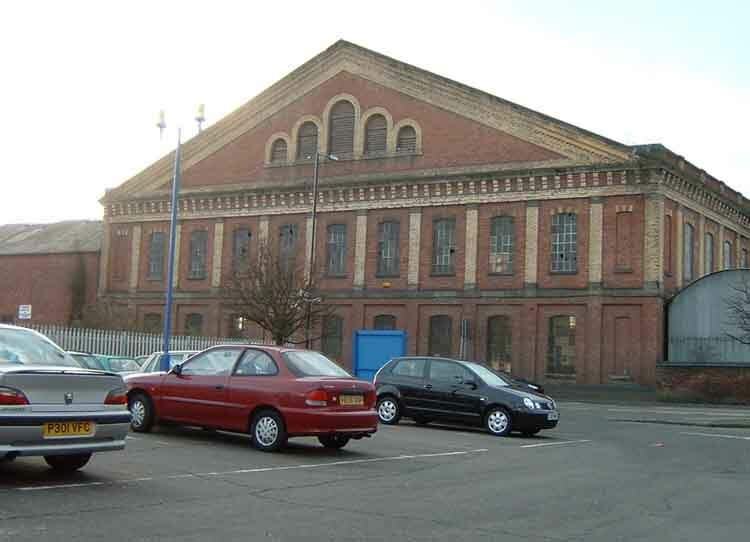 Although the business closed in 1965, the site is now occupied by a number of small factories, but the most impressive building that was built in the 1850s and known as the 'Great Filling Hall' was vacant when photographed on 24th December 2003. As the firm expanded it was decided that a connection to the railway was required. This required new powers that were contained in The Worcester Railways Act, 1870. This Act of Parliament allowed Hill, Evans and Co (at their expense) to extend the existing branch line or siding that had served the Worcester Engine Works Company Limited from the point where that branch line or siding had crossed the Virgin's Tavern Road (now Tolladine Road) by a further two furlongs and nine chains (632 yards) to terminate in St Martin's Street opposite to the northern boundary wall of the vinegar works. This required a level crossing at Shrub Hill Road, a bridge over the Worcester & Birmingham canal, and another level crossing at Pheasant Street. The new line was completed in 1872. 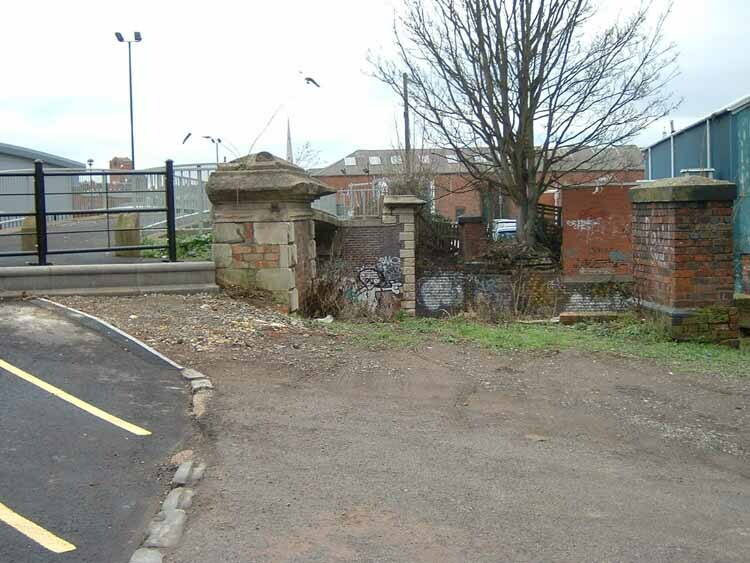 The whole branch line from the Worcester engine shed yard to the vinegar works subsequently became known as the 'Vinegar Works' branch. Some sources refer to the branch line as the 'Lowesmoor Tramway'. The 1870 Act also permitted a second siding to be constructed that was wholly within the parish of St.Martin. This started from a headshunt near to the junction of Cromwell Street and Padmore Street. This siding ran alongside Padmore Street for eight and a quarter chains (181.25 yards) of to terminate near a yard occupied by Mr Henry Chalk Webb. This siding was known as the Flour Mill siding as it ended at the City Flour Mill. It opened about 1872 and was closed some time after 1915. A little to the east of this siding was another that was used by Mckenzie & Holland of the Vulcan Iron Works. This siding was lifted between 1915 and 1922. No evidence now remains of either siding and the bulk of the area has been occupied by the local bus company since 1928. The 'Great Filling Hall' is location 'A' on the map. Location 'M' was the level crossing across Pheasant Street. The sidings of Hill, Evans & Co were shunted by the Great Western Railway. 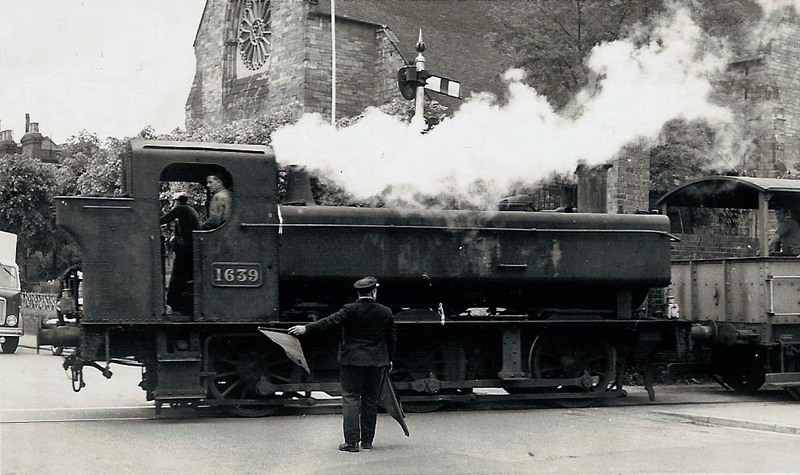 This photograph (which is used by permission of Berrows Journal) was taken on 5th June 1964 and shows the last train to serve the factory which was hauled by 0-6-0 pannier tank engine No.1639. This is the remains of the bridge that carried the 'Vinegar Works' branch over the Worcester & Birmingham canal (location 'B' on the map). All photographs were taken by Andrew Smith on 24th December 2003.